Have you know about snake and ladders game? Sure you are. Because, mostly people in the worl have know about this interesting game. Children, adolescent and mature often play this game with their friend, family and neighbor. 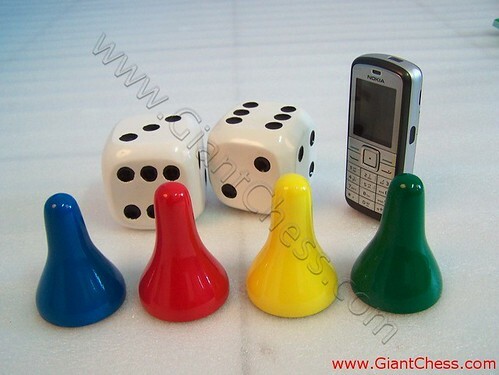 This universal game has its own simple rule and its pieces which can be found in almost all toy shop around the world. But have you met the snake and ladder pieces in big size? Just has show in the picture above. We also provide snake and ladder pieces in big size, complete with its cube. You just provide the board and your game can start. The different here is our pieces product have made of Teak wood and has polished in more funny colors. By using this kind of snake and ladder pieces, you can play it outdoor and get new atmosphere in your game. Just try it and proof it!